If you can get your blog post indexed fast by Google, then it will appear quickly to anybody searching for information using keywords relating to the tags of your post. Many will say “Why worry about Google – they don’t run the internet!” – but they are wrong. Google takes over 60% of the total search traffic, the rest being split between Yahoo, Bing, Ask and many others. Some of these others also use Google search results. Anybody who decides to ignore Google when optimizing their website or blog for search engine results is making a huge mistake. You cannot ignore Google if you want to be successful online. So, you have published a new blog post and you want it to be noticed and indexed by Google as quickly as possible. When Google indexes a web page what this means is that it has added your post to its index of URLs, not that it will be visible on the World Wide Web. For that, your page must be relevant to a search term or keyword employed by somebody using Google to find information. The results you see on a Google search engine results page (SERP) for a specific search term (keyword) is a list of indexed web pages arranged in descending order of how Google algorithms calculate the relevance and authority of your page to the search term used. Google’s first priority is to provide search engine users with the best possible experience when using the search engine for information. It is not you who are among Google’s customers, not its advertisers or even your own readers – Google’s customers are those using the search engine to find information. 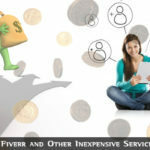 It is fundamentally a search engine, and its main priority is to provide searchers with the best possible service. When Google crawls your site, it indexes each individual page according to a number of variables including the vocabulary on that page. When it presents the page in its SERPs, a different set of variables are used – over 200 of them we are led to believe. 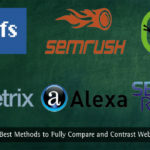 These variables are used to determine the authority and the relevance of your page to the search term used in comparison with all the other web pages in the index. 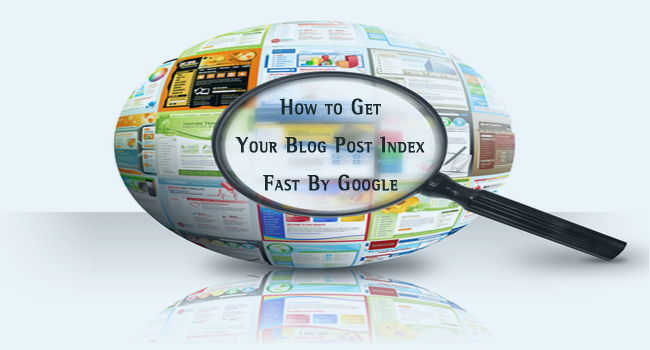 To get your blog post indexed fast, Google crawlers/spiders must first find your post. It can only do that by means of a URL that it either finds itself on its travels through the web, or if you bring its presence to its notice. There are various ways to do that, the first of which shall discuss is pinging. The objective of pinging is to bring the existence of a new post to Google’s attention. 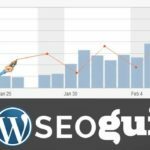 WordPress provides an automatic pinging service whereby it pings a number of publications with the details of your post – where it can be found on your blog and basic details of its content. Pinging might work if your blog remains static for long periods, but otherwise it will receive visits from Google’s search engine crawlers on a regular basis. In saying that, however, pinging will do no harm and could conceivably get your content discovered more quickly. If you over-ping, however, Google might see that as spamming. Where pinging may be of more significant advantage, is that a ping server might also notify RSS aggregators, web directories, social networks, bookmarking services and other publications that might publish your post. While this is unlikely to influence the speed with which your post is visited by Google, it may very well improve the authority of your blog and any particular post that gets a good readership. So whether or not pinging works depends on what you mean by ‘works’. No – it probably won’t get your post indexed any quicker, but yes, it might get it listed – there is a big difference. Pinging does not make any difference to your search engine ranking. What it may do is to bring your post to Google’s attention, although if your blog has already been indexed, your new post will be discovered very quickly in any case, with or without pinging. 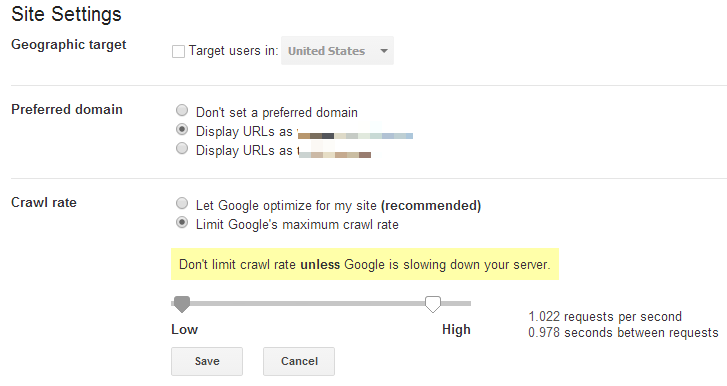 If you want to find out how many times Googlebot visits your blog, then go to your Google Webmaster Tools account. That will show you the frequency of visits to your site – and you can increase or reduce that to any level you wish. If you do not yet have an account, register with Google and set up your account. It is essential for anybody wanting their blog or website to figure in Google’s SERPs. If you submit an XML sitemap to this account, then Google’s spiders will follow your entire site, and will be led to any posts you have published. Your blog post must be indexed to be listed. Google lists pages in its index if it believes them to be relevant to the search terms/keywords used by the searcher. The ranking (listing position) of that listing is based upon a combination of over 200 factors. Pinging is unlikely to improve the speed with which your post is visited, but will increase the number of publications made aware of its existence. That cannot be a bad thing! It is often more effective to submit a web URL to social bookmarking and networking sites manually. It is likely to be far more effective to publish the link to a new blog post on Technorati, Digg and Delicious, and also on your Facebook page. Don’t forget to tweet it and submit to StumbleUpon. You can be pretty sure that any one of these will bring it to Google’s attention. Another aspect of blogs, and websites in general (a blog is a website), is that if you include a link to fresh content in site-wide navigation, then it is certain to be visited by Google’s indexing algorithm. A permanent navigation bar or footer that appears on every page and post will lead Google to your new content, assuming a link to it appears in the navigation. A ‘Recent Posts’ widget would achieve this. 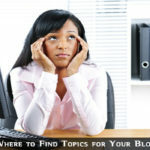 You could also submit your blog feed to a feed aggregator such Feedadage. This not only provides more visibility for new posts, but also useful backlinks. Ultimately however, your Number One action to get your blog posts crawled faster is to register with Google Webmaster Tools, submit an XML sitemap and sit back and wait. Google will follow the sitemap, which will be updated on WordPress each time you publish a new post. If you are using a CMS other than WordPress, then check up how it handles new posts. It is not necessary to use Ping-O-Matic or any other pinging software – you can achieve the same thing by manually submitting your blog to each of the above social bookmarking AND networking sites, plus any other favorites you may have.